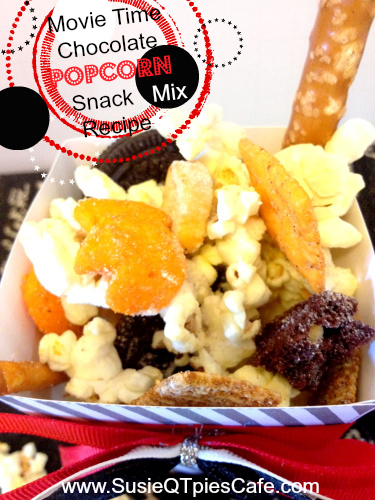 Popcorn is such a versatile snack. It can be popped in the microwave, stove top and even a campfire. Besides all the ways it can be cooked, so many toppings can be added to it like chocolate, caramel, ranch mix and more. This doesn't even count all the foods you can mix with it like pretzels, M&Ms and gummy bears! Oh my! 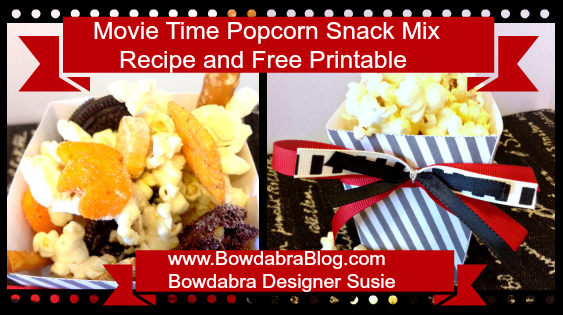 Popcorn is the perfect snack food, ever! It makes for an easy appetizer because it can be served so many ways. How do you like your popcorn? 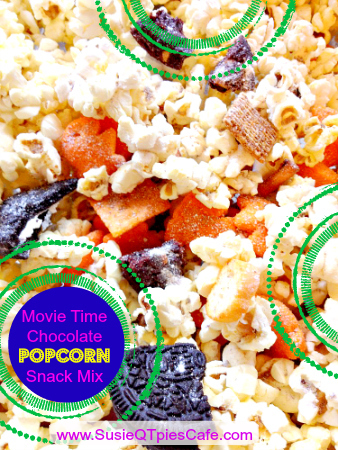 Try this Movie Time Chocolate Popcorn Snack Mix. We love this because it isn't super messy on the fingers. Below I have included my featured post on the Bowdabra blog this week. 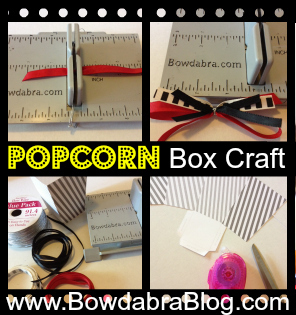 I made these adorable popcorn boxes from a printable over on Design Eat Repeat. You'll have to click over and get the tutorial and free printable! Toss all of the above ingredients together in a large bowl and serve!